Looking for the best wireless bluetooth earphone under Rs. 2500 ? Without the 3.5mm headphone jack nowhere to be seen on some of the modern smartphones, it is about time to get a new pair of Bluetooth earphones. Besides the bigger names in the industry, some of the newer players also make quality Bluetooth earphones and that too for a price that is affordable by all. 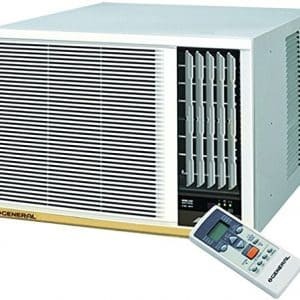 You might not want to do the tedious job of finding the best one for you, so we have done that part on your behalf. 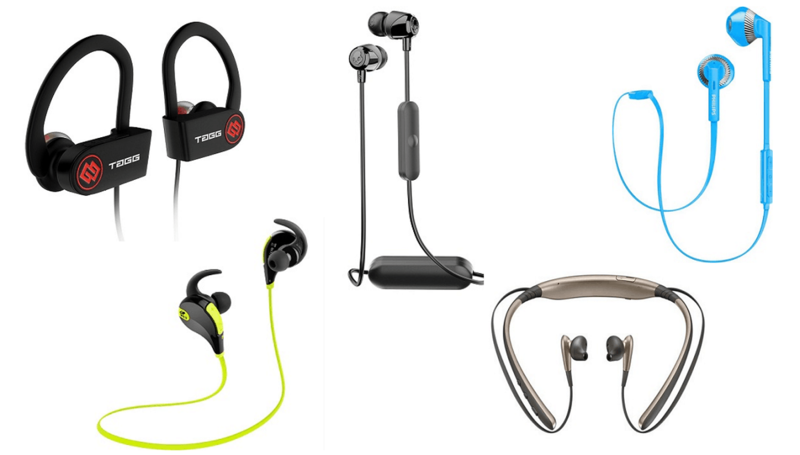 This is a list of top 10 wireless Bluetooth earphones includes all the products that are not only great for the sound output but also offer a great value for your money. 1) For the people who don’t like a large hook around their ears, then Leaf Bluetooth earphones can be a perfect solution. 2) To bring a snug fit to the earphones, the company has included in-ear hooks that fit inside your ears without bothering you much. 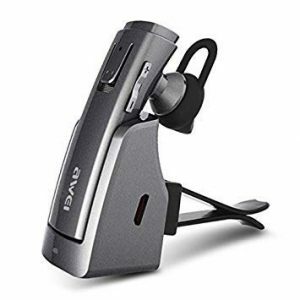 3) It has a metallic unibody and soft ear tips for the most comfortable music listening session. 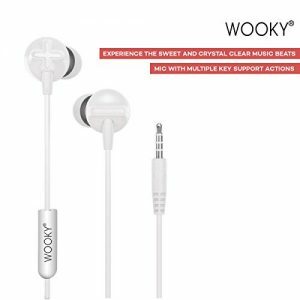 4) These earphones have noise cancelling and are compatible with all kinds of devices, be it Android, iOS, or your laptop. 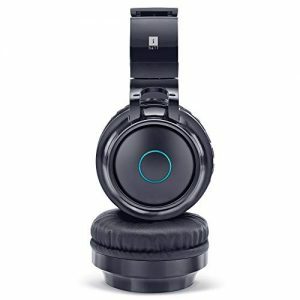 5) They offer a top-notch audio output with a deep bass and a better stereo effect with the noise cancellation. 6) You can play music on this earphone for over 8 hours on a single charge. 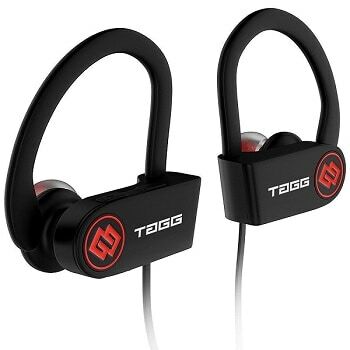 1) The Bluetooth earphones that offer the best value for your money are the TAGG Inferno. 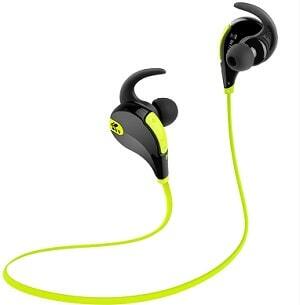 2) Perfect for all types of scenarios, these earphones have ear hooks to keep them in place while you are doing some kind of activity, like running. 3) Plus, the single wire goes behind your neck, so it wouldn’t come in your way. 4) With one full charge, these Bluetooth earphones shall last you for over 8 hours of continuous music playback. 5) The best part is that the earphones are sweatproof, so you need not worry about them getting damaged while you exercise. 6) The company has included a carry case inside the box along with the additional ear tips. 1) Samsung’s take in the Bluetooth earphones market is a bit different from what others do. 2) The Level U earphones from Samsung come with a neckband that sits on your neck and shoulders to hold the earphones in place. 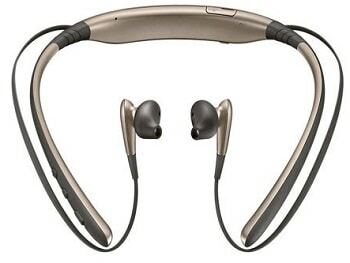 3) The other benefit of this neckband is that the company add extra battery capacity. 4) With all the tech placed inside that band, the earphones are lightweight with all the comfort you need. And for the neckband, you won’t even feel if it’s there. 5) While these are premium earphones from Samsung, they have received a price cut and are now available at a really good price. 6) Samsung is offering a warranty of 6 months on this product. 1) These are one of the best-looking Bluetooth earphones in this list with their minimal design. 2) The earbuds and the control unit house all the necessary things needed to run the earphones and they are not at all bulky. 3) For an added convenience, the company has included magnets on the earbuds, so that they can tuck together when they are hanging loose on your neck. 4) TaoTronics has ensured that you don’t face any issue in pairing these earphones and they support instant pairing for all your devices. 5) Inside the box, you will be getting a few extra pairs of ear tips and hooks alongside the earphone unit itself. You can get them in many colours of your choice. 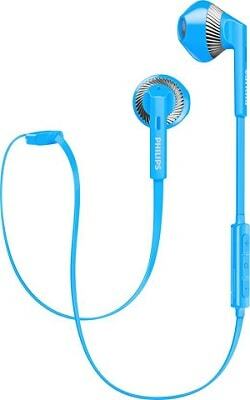 1) Philips has a wide range of audio products and earphones are one of them. 2) The Bluetooth earphones from Philips are the most basic one you can get and include a great sound output. 3) The entire body is made out of plastic and they have in-ear tips to provide a perfect seal around the ears to cut down the ambient noise. 4) The company makes them available in bright colours and you can choose one according to your liking. 5) They are lightweight, and you wouldn’t feel any of its weight while you are wearing them, and they fit so perfectly that they won’t fall off. 6) And of course, the flat cable, that would never tangle. 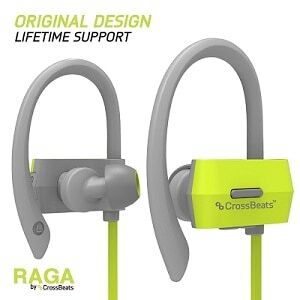 1) Built for all kinds of ear sizes, the CrossBeats Bluetooth earphones have ear hooks that can adjust according to your ears giving a perfect fit. 2) The all-around rubber finish further helps in keeping the earphones right where they belong. They also have a pretty amazing battery that helps them last for over 8 hours of continuous playback. 3) While that fit is necessary for your gym sessions, the earphones also have a great noise cancellation that ensures only your music reaches you. 4) All the controls are built right into the earphones and you don’t need to open your phone to change the volume, take and end calls, etc. 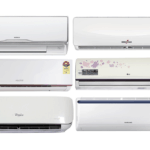 5) The company is giving a warranty for 1 year along with a lifetime support. 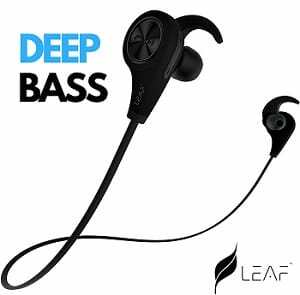 1) People looking for sports earphones can stop right here and have a look at these earphones from Soundpeats. 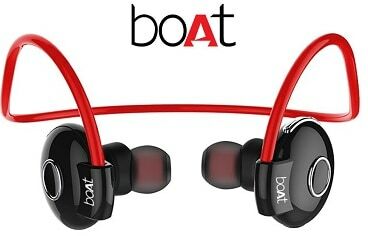 2) Designed for exercise, these earphones are not only lightweight but also fit quite well inside your ear. 3) The ear hooks inside the ears provide a comfortable fit and they are great for wearing for longer durations. 4) These earphones support multiple connections at once and come with all the things that you would ever need inside the box, including a clip for cable, extra ear tips and hooks, along with a carry case. 5) The company includes a custom sound engine that makes it one of the better earphones in its range. 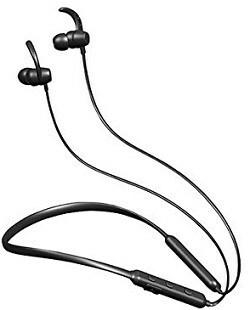 1) Similar to the Samsung one mentioned above, these earphones from Future have a neckband that adds to the overall experience of the Bluetooth earphones. 2) While the neckband sits on your shoulders and neck, you can comfortably put the earphones on without fearing of them falling off. 3) Plus, all the controls are built into the neckband and they are easily accessible too. 4) Yet again, their design includes ear hooks that ensure a snug fit. The company has made use of metal design for the body that is also sweatproof for the best experience. 5) With its amazing sound performance, you can play music on it for as long as 8 hours straight. And it has a long Bluetooth range of 30 feet! 1) This company has created its reputation of having some of the best earphones and headphones but at a price that many can afford. 2) This is one of the cheapest Bluetooth earphones in this list, but it still sounds great. All its sound apparatus is built right into the earbuds so there are no extra portions hanging around in the cable. 3) As mentioned earlier, they sound really great and bass on these earphones is unmatched. 4) Active noise cancelling is also present along with its waterproof body. 5) Over the Bluetooth 4.1, you can run these earphones for about 6-8 hours straight without having to charge them midway. 6) There is an in-line microphone to let you take and end calls. 1) A rather popular name has a great product in the budget range of Bluetooth earphones. 2) Their product is low in weight as its earbuds are of normal size while all the heavy things stay in the in-line cylindrical unit that would sit on your neck. 3) It is a small and compact earphone that is as light as any of the other wired earphones. 4) Like you’d expect from Skullcandy, these earphones sound really good and you can play music on them for hours without being uncomfortable. 5) The battery of this earphone lasts for about 6 hours on a single charge. 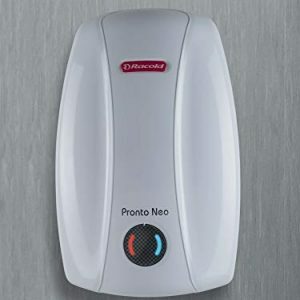 The company makes them available in a bunch of bright colours that you can choose from. You have a good list of earphones. It would be perfectly fit to any activity that you would do. I am little bit confused between Sony and JBL. Any suggestions from your end? 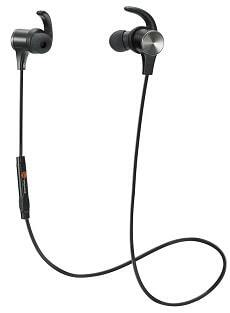 Skullcandy JIB wireless is really a good earphones for running purpose. 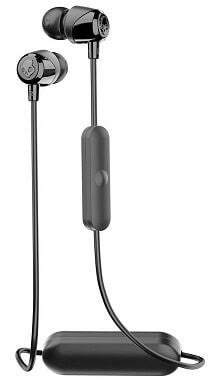 Skullcandy JIB wireless is a good earphone. I am using this earphone from last three month and it’s working good.